Write a C program to check a given array of integers and return true if the array contains 10 or 20 twice. The length of the array will be 0, 1, or 2. 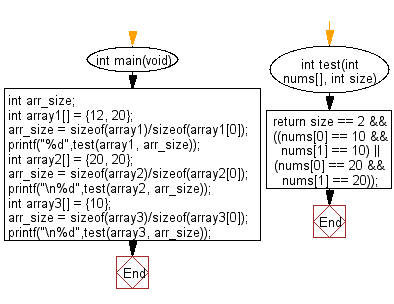 Previous: Write a C program to check if a given array of integers and length 2, does not contain 15 or 20. Next: Write a C program to check a given array of integers, length 3 and create a new array. If there is a 5 in the given array immediately followed by a 7 then set 7 to 1.